Passed 1st time thanks to Paul. Driving is a lot more difficult than I had 1st thought, but Paul has been very patient with me even when I didn’t grasp things first time! 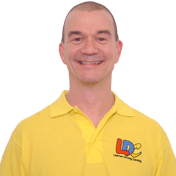 I'm a driving instructor in Aylestone, Blaby, Braunstone, Cosby, Countesthorpe, Enderby, Fleckney, Glenfield, Kilby, Knighton, Narborough, Oadby, Whetstone, Wigston and surrounding areas. .